Interested in becoming a dealer? Call or email us for more information! Welcome to our online showroom! The result of Impeccable Craftsmanship! Cabinet and Stone International is where your dream kitchen and bathroom come to life. 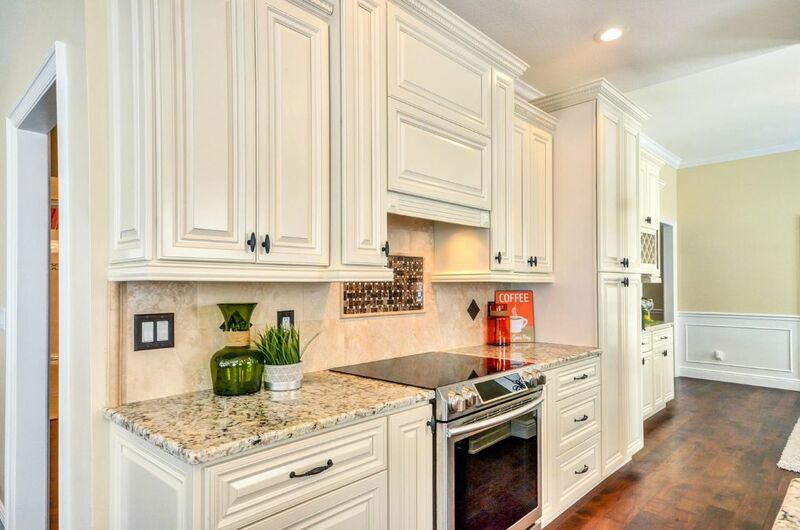 We offer a beautiful selection of solid wood cabinets and granite countertops for your kitchen and bathroom. We also offer handles and knobs, stainless steel kitchen sinks and bathroom sinks and more for your convenient one-stop kitchen and bathroom shopping. Please visit us at one of our two showrooms for free design and estimate while you explore our beautiful products. "I wanted to thank you for your amazing customer service as well as your company's efficiency in creating a kitchen our Buyers loved. Cabinet and Stone International has a very quick turn around time with competitive pricing and a quality product. We received multiple bids on this property only three days after it was put on the MLS for sale. In a recession market, I am thrilled and believe the amazing kitchen you installed had a lot to do with the sale. Attached are photos of the kitchen your company installed as well as before and after photos. Again, thank you and we hope to use your company in the future." "I just wanted to let you know how good the job looks and how much we appreciate your professionalism throughout the entire process. We will recommend you to all of our friends. Thanks again, and keep up the good work. Thank you Cabinet & Stone International for a wonderful job on my kitchen, I realize it was a very large job, but it went very well. I would not hesitate to recommend your company to my family, friends and associates. Thank you from Louis & Altomease Lucas."